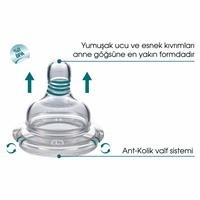 The highly reliable, BPA-free and healthy Mamajoo baby bottle teats, with both ergonomic design and anti-colic valve system, are the ideal nutritional product for your baby after breastfeeding. 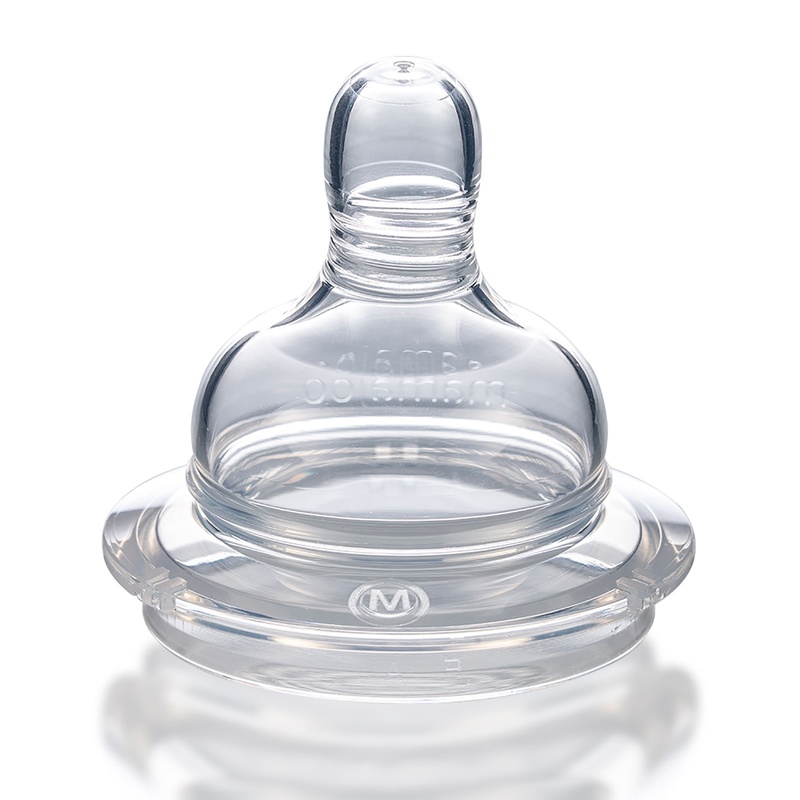 The anti-colic valve in the Mamajoo bottle collar helps to prevent infants' risk of swallowing air during feeding. The Mamajoo teat pacifier, which is the closest to the mother's breast, is designed to stretch through the augers on the breast, just like in breastfeeding. 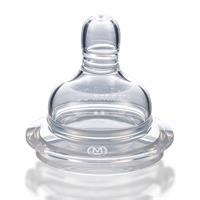 Tasteless and odorless silicone The Mamajoo teat pacifier makes it easy to combine bottle feeding with breastfeeding. 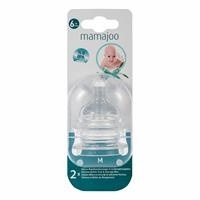 Mamajoo baby bottle teats are made of high quality transparent, tasteless and odorless silicone. 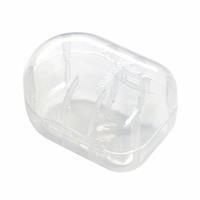 Ideal for all age groups, soft and smooth, easy to clean. The product storage box in the Mamajoo baby bottle teats can be sterilized and can be used several times to keep the bottle teats hygienically. 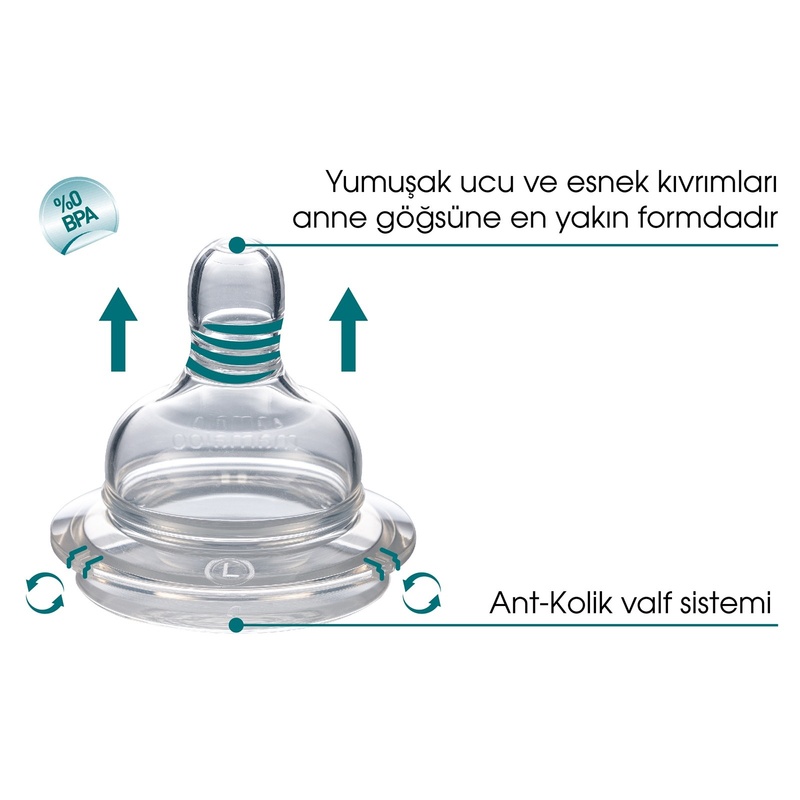 There are 4 kinds of Mamajoo baby bottle teats with different fluid flow rates to suit the development and needs of babies.